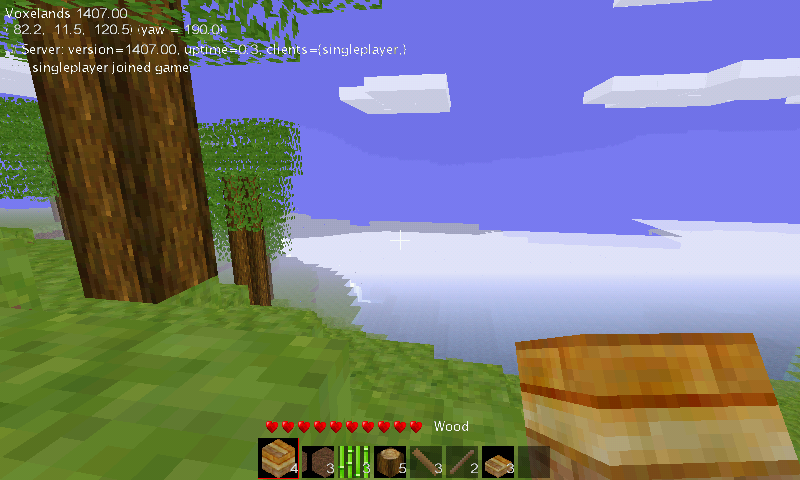 Voxelands was originally forked from the Minetest-C55 0.3.x codebase as a result of several core developers becoming disillusioned with the direction of Minetest 0.4. We wanted to put the fun back into the game, and stop trying to make it into an engine. "minetest_game's only purpose now is to serve as a base for people who like to mod the hell out of something". Celeron55 regarding updates to Minetest 0.4's default game. With this in mind the aim was to start with the last stable public release of the 0.3 series, backport bugfixes and improvements from 0.4, and fix some other bugs that were never fixed. Then add in some new features and make a polished release; all without breaking backwards compatiblity with Minetest-C55 0.3.x. Initially, new nodes were restricted to the few defined but unused nodes in 0.3.x - changing their use and adding some new craft recipes and on-dig events allowed us to make the most of them. There has since been many new nodes and objects added on top of this. Changes to date have included a snow biome, farming, several new draw types - including diagonal fences, walls, and proper sloped roofs - books that can be written in or display craft guides, 3D players and mobs, a newly designed game ui, and much much more. So what's next? There's several new nodes being added, and work is progressing on the http client/server which will add both a means of syncronising player skins, and hopefully a web-based server admin interface, server list, and maybe even the ability for your client to check for updates. A number of people have asked if we will we always maintain compatibility with Minetest-C55 0.3.x; the answer is yes and no. We don't see any need for major changes to the network protocol, but we are adding new nodes and objects that 0.3.x clients will see as 'unknown'. 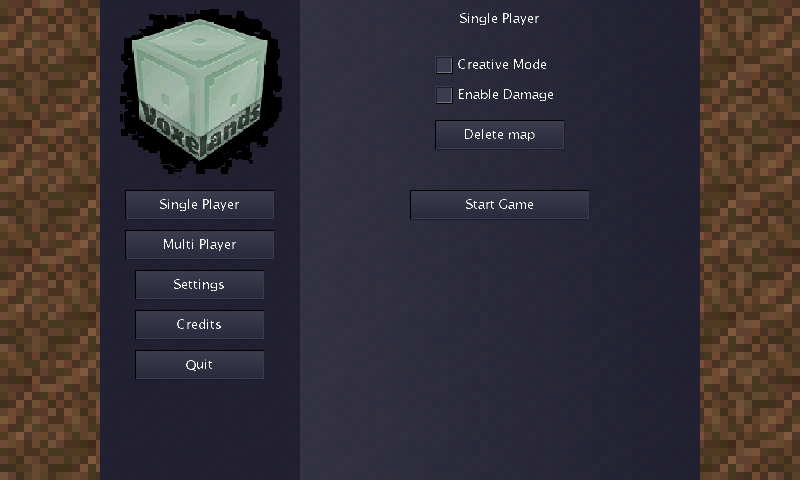 Here is Voxelands (aka Minetest_classic), an opensource clone of Minecraft. The game is still a bit early in it's developement, so don't expect a perfect clone. Still, the game seems vast enough to be fun. It use Irrlicht (using GLES1.1 port), and I know there are a few graphics artefacts (in some of the cube on the inventory). The shoulder should act like mouse buttons in game and inventory, but not in the GUI (I didn't hack Irrlicht for that yet). The keys are configurable in menu, or by altering the file voxelands in appdata/voxelands. Oh, I forgot to put look on right nub?! I thought I had done that. I will update the package. i played a bit more and the controls really need to be changed. The nubs need to be inverted (ie mouse look on the right nub, not the left) and the action buttons need to have different actions too. I'm not into minecraft, but seems to work fine. A well done port, while a bit slow even on 1Ghz.